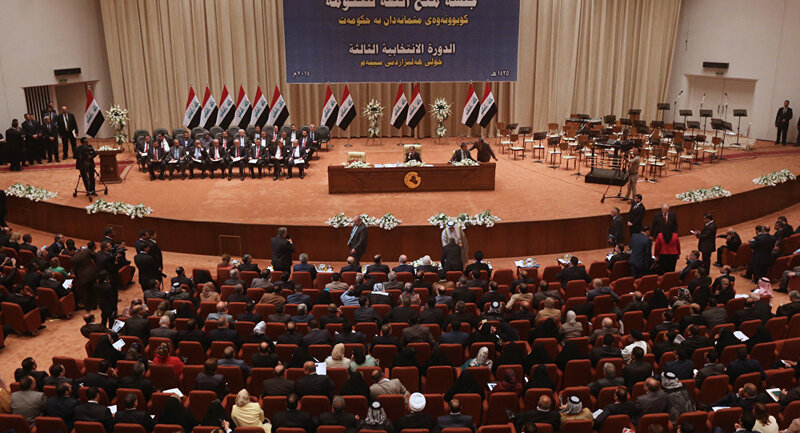 According to a member of the State of Law Coalition, Iraq's parliament is planning to vote whether or not the country will request the support of the Russian Aerospace Forces in fighting the Islamic State militant group by the end of this month. Iraq's parliament is planning to vote to request support from Russia in fighting the Islamic State (ISIL) by the end of the month, a member of the State of Law Coalition told Sputnik on Wednesday. "It doesn't matter if the request is supported by Sunni and Kurdish factions or not, it changes nothing. We have enough strength in the parliament," legislator Mowaffak Rubaie said. Rubaie is also a former national security adviser in Nouri al-Maliki's government. Iraq has spent over $20 billion on US military training since the 2003 US invasion which toppled Saddam Hussein. The new army has been unable to counter ISIL and has a dire lack of heavy equipment, such as artillery and helicopters.